Choosing a dog that fits your lifestyle takes some thought. It's easy to be swayed by cute puppy eyes, but it's important to consider all the characteristics of each breed such as energy level, temperament, and size to find the right match. Different people have different reasons for wanting a dog. Whether it is for companionship, protection or some other reason, choosing the right dog for your lifestyle is important to the success of your pet ownership. For example, say you have always loved Golden Retrievers and you decide that this is the dog for you. However, you live in a small apartment in the city and you work a lot. Under this scenario you would be asking for trouble. This breed needs a lot of activity, space to run, and companionship. Boredom will induce bad habits, and you may find you are coming home to an apartment that has been thoroughly trashed on a nightly basis. It would be better for you to choose a small dog that doesn't have the activity requirements of the sporting dog breeds. Which type of activity do you enjoy? Which type of family do you have? 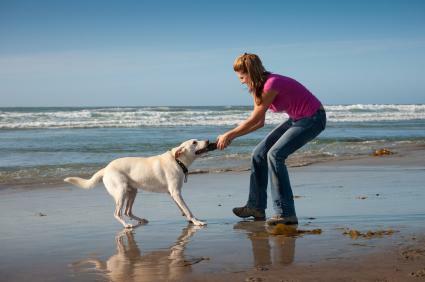 Questions like these will help you to determine which characteristics you are looking for and need in a dog. Just because you live in an apartment does not mean that you have to forgo having a dog. It does mean that you will need to choose your pet carefully based on your lifestyle. Usually the larger breeds will need more exercise and attention than you will be able to give them, so they are often not the easiest choices for city life. This is not always true; there are some large breeds that have a lower need for activity and are calm and placid such as the Newfoundland. Remember, no matter which dog you choose, you need to make a lifetime commitment. Make sure that you train your dog so he will be well behaved, and choose the breed best suited for your needs and the needs of your family.